Despite tons of press surrounding Henge Docks, I only recently heard about it while reading about Matt Biddulph's setup. My curiosity piqued as I got up to speed on what Henge Docks was all about; not just a glorified vertical stand for Apple notebooks, oh no. 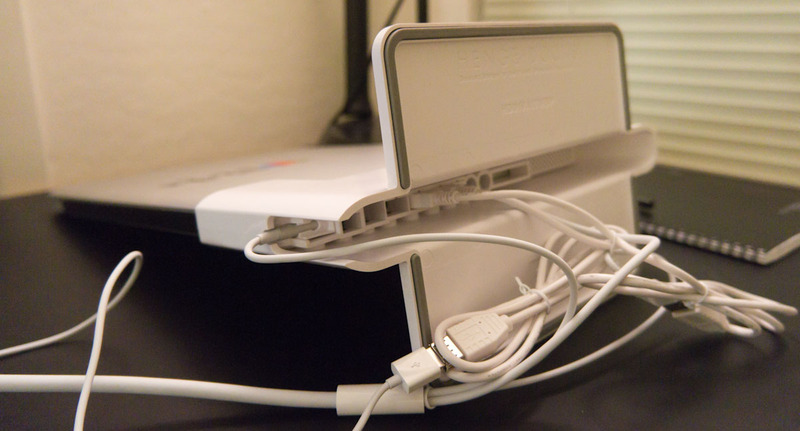 It's the first real docking station solution for Macs and it's brilliant. Matt's reasoning behind his single screen setup is exactly why I love the Henge Docks station. If I'm going to have two screens, they need to be the same size and PPI, otherwise looking left to a 27-inch and looking right to a 17-inch propped up off the desk is too jarring. 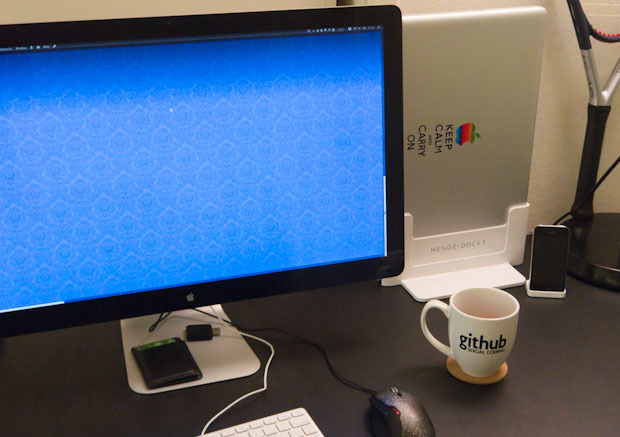 I simply use this Apple display as my only display, which leaves one annoyance: unplugging a squid-like mess of cables when migrating to another room (kidding, I live in a tiny SF studio..) a coffee shop. Thirty minutes after first hearing about Henge Docks (this demo video did it for me) I put my order in for my MacBook Pro version, an older generation 17-inch "Rev A" (the ports are slightly different from the newer version). 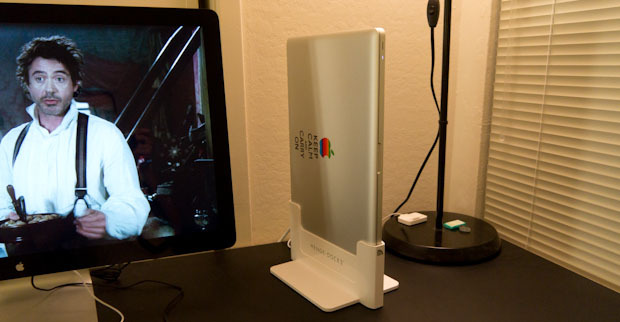 The 17-inch version costs 75, 15-inch is 70 and the 13-inch Henge Docks docking station goes for 60. That pricing isn't bad considering vertical stands for MacBooks that don't have any docking magic go for around 50. 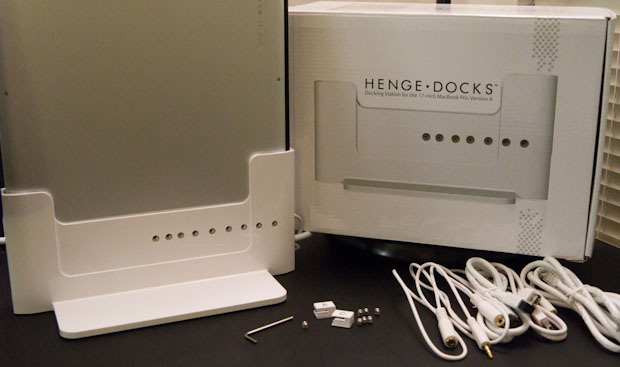 Unfortunately, Henge Docks does not offer a MacBook Air version due to the fact that the Air has ports on both sides so you'd still need to manually connect cables, defeating the purpose entirely. 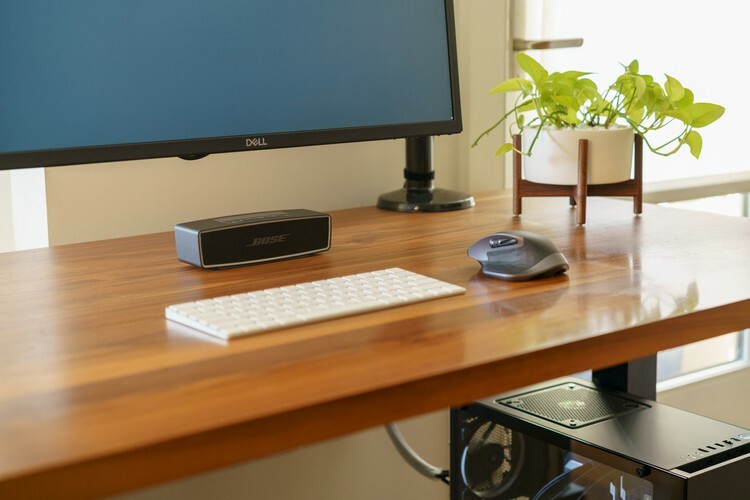 The actual docking station is constructed of sturdy plastic with rubber feet on the base to avoid slipping and desk scuffs. 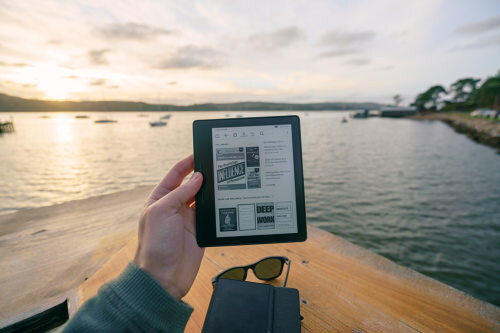 It provides a close enough fit for cables and ports to line up perfectly, but not quite tight enough to be considered snug or provide undue burden on notebook insertion and removal. Once unboxed you will find a myriad of extension cables: Ethernet (one end being clipless), Firewire 800, 2 audio and several USB. 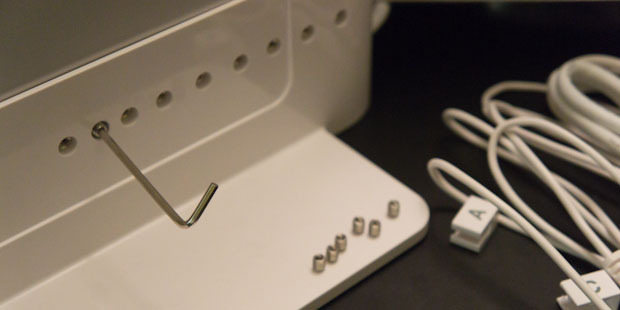 In addition there is a little bag with a hex wrench, a set of small headless hex screws and three small bracket contraptions meant for keeping your MagSafe adapter in place. Setup seemed easy enough: pick the cables you want to use, flip the docking station over, slide in the extension cables (make sure you have them oriented correctly! I'm looking at you USB) to the correct height, then fasten with screws. Before inserting the MagSafe connector, you need to place it in the proper rectangular clip of the three included. Current Henge Docks models support all MagSafe versions. That was the easy part. Getting the cables to hide under the station turned out to be a bit of a chore. In particular, the USB cables are too long for my needs with the Apple LED display cable. I just need a tiny 3-inch USB extension but instead I have to cram the included long USB cable under the space. Too many cables, not enough space. My setup involved two USB cables (one for my iPhone dock and one for the display), MagSafe and Mini DisplayPort. I can't imagine what this would look like if I had to hide a DVI to Mini DisplayPort adapter under there as well as Ethernet, Firewire 800 and audio. Though to be fair, I was hiding all excess cable under there instead of letting it exit. Finally! cables all neatly wired and tucked out of the way. After setup was complete I took it for a test drive and slowly slid in my MacBook Pro. The recommended way to use the docking station is to hold the base with one hand and then slide the laptop in with the other. I can forsee the heavy 17-inch MacBook Pro slipping from my death grip during this process so it made me a bit nervous at first, but I digress. Good luck using an ExpressCard device like a 4G modem with this..
"What about heat?" 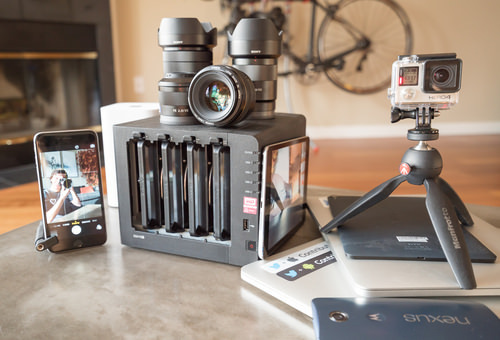 That's the question I always get when telling or showing people my Henge Docks setup. First off, I've been using my laptop in clamshell mode with an external display for years now, without recourse. 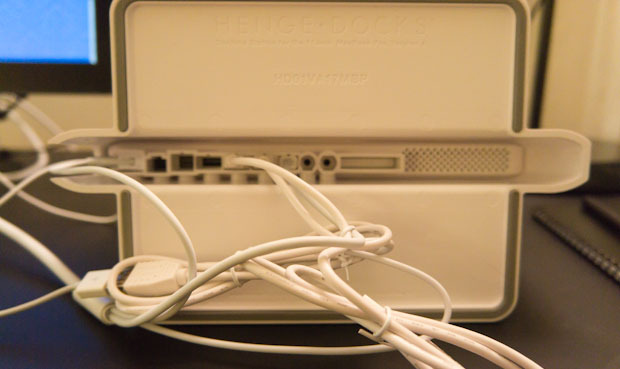 I will say that prior to Henge Docks, I used to crack it open a bit so that air could get sucked in through the keyboard/speaker grill whenever I compiled something or watched video. Having the laptop situated vertically does help dissipate more heat than usual, so it seems like a fair compromise. If anything, I will manually crank up the fans with smcFanControl if I get worried about temperatures but this has not been an issue in my month of ownership. My other nitpick comes with audio and Ethernet. 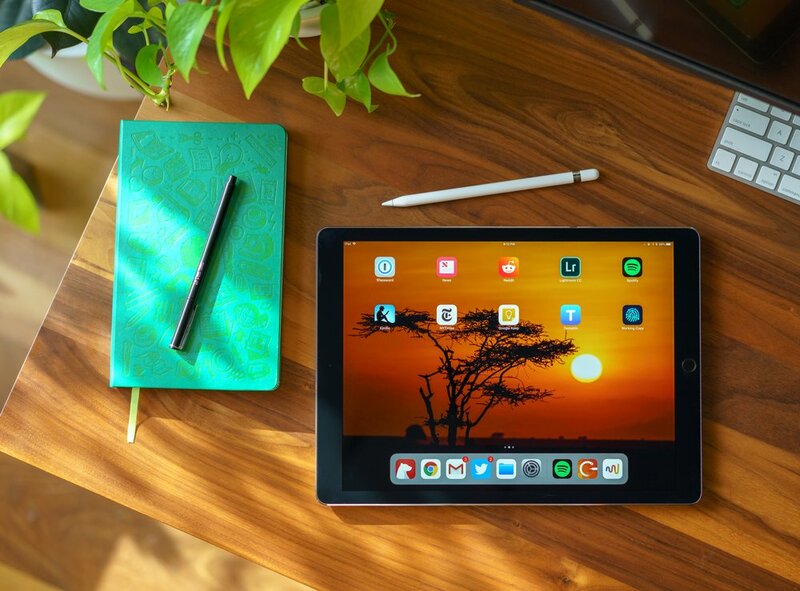 Take for example a user with an Apple display with integrated USB speakers. Sometimes you may want to listen via the display's speakers and other times you may want to plugin your headphones. Unfortunately, you can't switch between these two options with the Henge Docks docking station. If you insert the audio extension cable to have a headphone jack handy, it will instantly override any audio setting and assume you are using headphones. I have tried software solutions to force it to use the USB speakers but nothing worked. I ended with the conclusion that it is a hardware issue and the headphone jack on my MacBook Pro is a DPST NC (double pole single throw normally closed) switch such that anytime something is plugged in (regardless if it's an actual audio device or just an extension cable like in my situation) it will not allow you to use any other device. So that's one rather large annoyance for me. Any ideas? 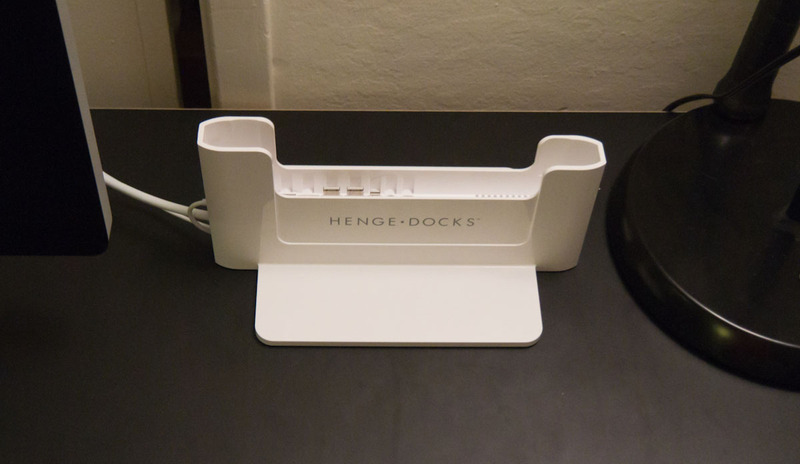 In regards to the Ethernet cable, Henge Docks should include a coupler so I can easily hook it up to my existing Ethernet cable. The included one is far too short to reach my router. For anyone that uses a NAS with any regularity, having a gigabit Ethernet connection feels much better than even the best simultaneous dual-N Wi-Fi connection. Not a big deal though; Cat6 couplers are cheap. 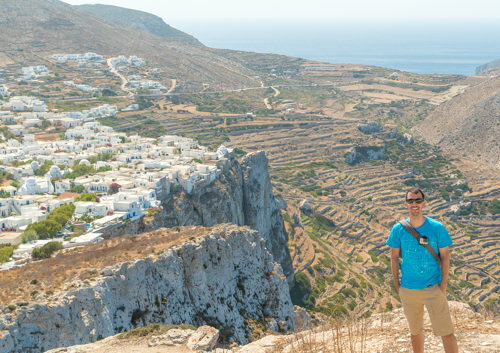 As for those that hate resizing and moving windows that move about as you switch to and from displays of varying resolutions, there's an app for that: Stay. Stay ensures that your windows are always where you want them to be, even as you connect and disconnect displays. Overall I'm rather pleased with this docking station solution. 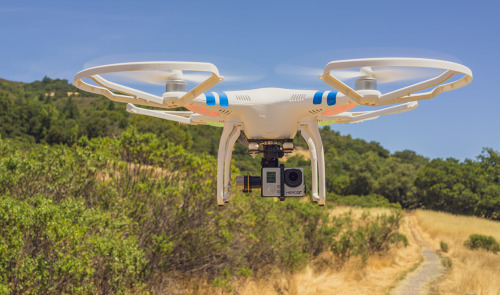 It is sturdy, sleek and has great build quality. The Henge Docks docking station gets 9 out of 10 Stammys. Snag a Henge Docks docking station for your MacBook Pro setup. Thoughts? Do you currently have a laptop + display setup? Is this something you might like using? I'd like to hear what's on your mind.